Fame Day: New Belgium Brewing Co.
There’s a common misconception that Communism is about an all-powerful government controlling the economy. In reality, nothing could be further from the truth. Despite our railing against Ayn Rand and laissez-faire economics, the end-boss that Marx actually described was the inevitable merger of big business and big government into one inbred monster. The whole point of the glorious people’s revolution was to get rid of both the plutocrat and the politician, though obviously between Stalin, Pol Pot, and Joe McCarthy, things all went terribly wrong. “Marxism” became a buzz-word for the very things it was opposed to, and the whole movement got set back a century. It’s not easy being red. Even so, every once in a while, we manage to chalk up a point for the good guys. 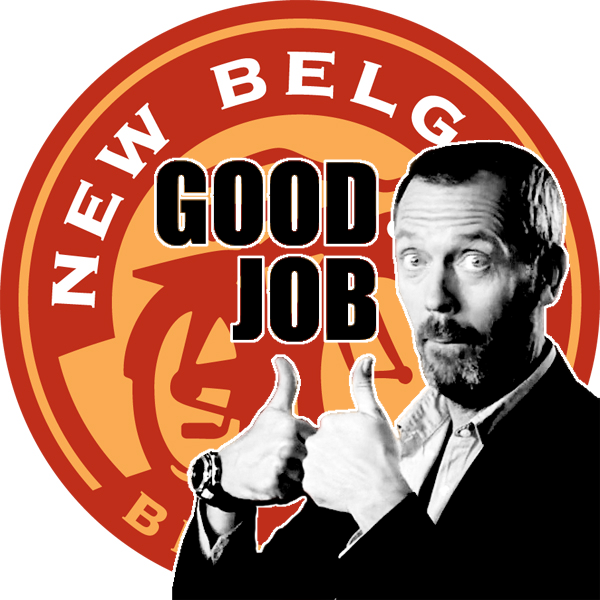 This particular victory comes to us from Fort Collins, Colorado, where it was announced yesterday that the New Belgium Brewing Company has become 100% worker owned! ARISE YE WORKERS FROM YOUR SLUMBER! ARISE YE PRISONERS OF WANT! That’s right- owned and democratically run by the people who actually do the work. Behold the nefarious Communist agenda for America! Now in case you’re wondering exactly who these guys are, there’s a chance you might be more familiar with some of their products- such as Blue Paddle, Snow Day (seasonal), and their most famous, Fat Tire. Now in addition to being a much needed triumph for the proletariat, New Belgium has plenty more commendable points worth mentioning. These guys are as green as they are red, using a combination wind-power, methane, and ingenious energy-efficiency techniques to reduce power consumption. All workers receive a free bike after one year of service. Workers enjoy sporting events, art shows, and freaking beer parties. We live in a world full of vile contemptible companies who do vile contemptible things and never get the derision and disgust that they so richly deserve (cough, Nestle, Coca-Cola, Monsanto, Nike, Caterpillar, Unilever, Marks & Spencer, cough). If those evil dirtbags can’t be publicly condemned, then perhaps we can at least swing to the other side, and offer some well-earned praise to people doing it right. New Belgium Brewing Co., here’s to you, comrades!